A year and a half later, Banning has a boring security job at the Treasury, where he can see the White House from the window. The leader of South Korea comes to visit the President to talk about the North Korea situation and their mutual interests; soon, however, the White House finds itself under attack by North Korean forces. The President and some of his staff is kidnapped by Kang (Rick Yune), an evil man who wants to make a "united Korea," and he threatens to kill the President if the U.S. Government does not do as he says. Banning has made his way to the White House by now, and actually has slipped inside, even though the rest of the President's secret service guards have all been shot down. Banning makes contact with the government and helps get the President's son out of the White House, and will battle Kang to save the President as well. 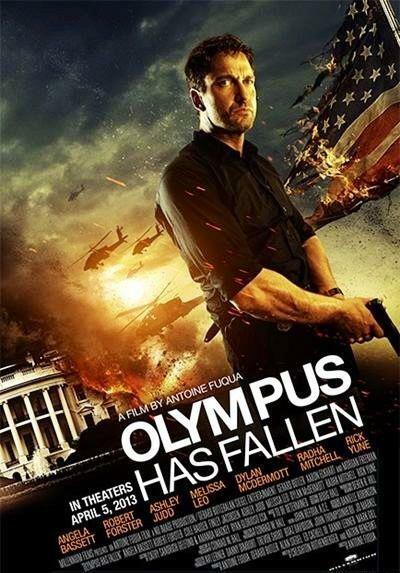 Olympus Has Fallen is in theaters today, March 22nd, and is rated R with a runtime of 120 minutes. 3.5 stars out of 5. Dylan is actually not in it that much. I loved him on The Practice and recently in The Campaign. But yes, lots of Gerard :P and some Morgan too.